Knowing and maintaining your credit score has an effect on more than the interest rate you get on buying a house or car. It also can impact your cost of insurance. According to the Insurance Information Institute, the goal of every insurance company is to correlate rates for insurance policies as closely as possible with the actual cost of claims. If insurers set rates too high they will lose market share to competitors who have more accurately matched rates to expected costs. If they set rates too low they will lose money. This continuous search for accuracy is good for consumers as well as insurance companies. The majority of consumers benefit because they are not subsidizing people who are worse insurance risks—people who are more likely to file claims than they are. 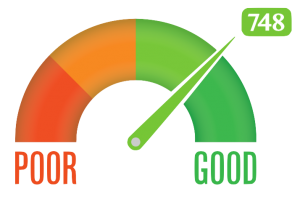 An insurance score is a numerical ranking based on a person’s credit history. Actuarial studies show that how a person manages his or her financial affairs, which is what an insurance score indicates, is a good predictor of insurance claims. Insurance scores are used to help insurers differentiate between lower and higher insurance risks and thus charge a premium equal to the risk they are assuming. Statistically, people who have a poor insurance score are more likely to file a claim. Insurance scores do not include data on race or income because insurers do not collect this information from applicants for insurance. The wise consumer knows his or her credit score, and takes advantage of advice and assistance on how to improve it. The benefits extend beyond the obvious, all the way into the cost of your insurance premiums – or if you qualify for insurance at all. The team of professionals at The Reschini Group can help you get a better understanding of this important connection for your specific situation.